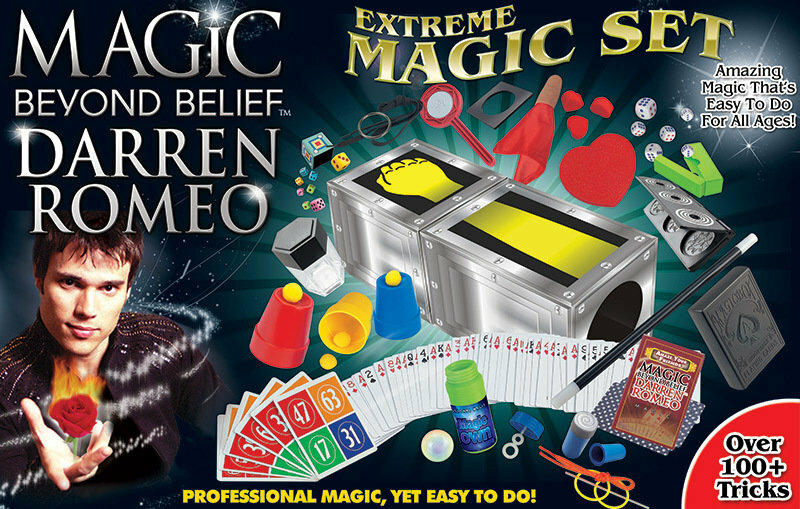 The Magic Beyond Belief - Darren Romeo Extreme Magic Set is sure to be the perfect gift for ages 4 to 104. It contains 150+ hand picked magic tricks to create one of the most comprehensive and versatile magic kits on the market. From easy to more advanced, for hobbyists to the more professional magician, there are illusions for every skill level. Also includes carrying handle, instructional dvd and hours of entertainment for the entire family. *Note - Includes small pieces that may become a choking hazard for small children. ** Only 50 sets available.